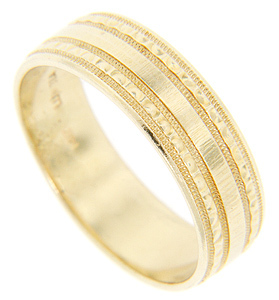 The surface of this 14K yellow gold estate men’s wedding band features alternating designs and a Florentine finish. The ring measures 6.7mm in width. Circa: 1980. Size: 10 1/4. Cannot be resized.